Apple co-founder Steve Wozniak may not be as publicly prominent on the technology scene as many would like, but he still manages to appear in the most random of places. “The Woz” can often be found travelling, waxing lyrical about emerging technologies at conferences in every continent as well as talking fondly about his days in Silicon Valley with his beloved Apple. In his latest appearance, albeit an unexpected and non-commercial one, takes place at the W Hollywood Hotel where he quickly slips into demonstration mode to show off the hotel chains’ new SPG Keyless entry system. We all know and love Woz as one of the original Apple founders, along with Steve Jobs and Ronald Wayne, but it’s perhaps his ability to passionately talk about technology and how it can enhance and benefit our lives that has kept him in our hearts all these years. It’s also his ability to jump into an impromptu but highly expert and polished demonstration of the Starwood Hotels & Resorts’ new keyless entry system that makes him a true champion of new technology. For those that may not know, SPG Keyless is a Bluetooth-powered keyless entry system that has been fitted to a number of rooms throughout various properties belonging to the Starwood Hotel group. As part of the system’s rollout last month it is currently available in 10 chosen W, Element and Aloft resorts around the world. The video shows that no matter the situation Woz is always ready to pull out his iPhone and put on a perfectly professional demonstration of technology that excites him, even if he has just encountered it for the first time himself. The polished video performance sees Wozniak pull out his shiny iPhone 6 before showing it to the camera and launching the dedicated SPG app that is currently only accessible by select guests who are part of the Starwood Preferred Guest Loyalty Program, hence the “SPG” name. 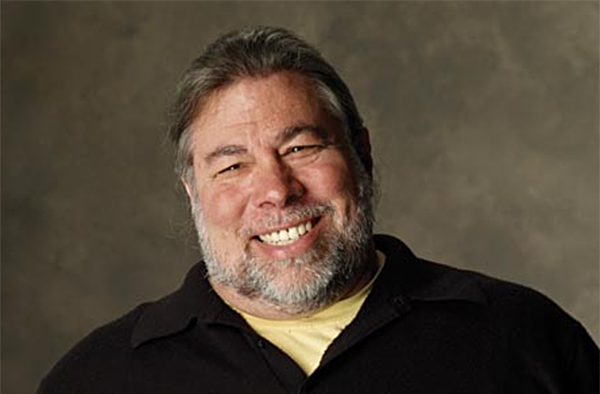 After briefly talking viewers through the process Woz then touches the iPhone 6 against the lock on the door, waits patiently for the green light and enters his W Hollywood Hotel room without ever needing to use a key or swipe a card. It’s likely that a number of other upmarket chains will start to implement similar systems, but it looks like they could be playing catch-up with Starwood. The firm’s new SPG Keyless system is an evolution of its previous smart check-in service, which now also allows guests to bypass the standard front reception check-in procedure by going directly to their room and checking in with a compatible iPhone running the SPG app. it took to long to unlock the door. Between having to pull out my phone, launch the app and then hover over the door for that long is too much.. they need to make it much faster. It would be nice if they made residential locks and we can make it work just like Apple Pay. No need to leave the lockscreen just use our finger print to unlock the door.